Our primary goal in collecting personal information is to provide Millennium's visitors with a superior customized online experience. We use the customer contact information to fill orders, contact purchasers to inform them of their order status, to send promotional information, to enhance the operation of our site and administer our systems. When you order from us, we collect personally identifiable information from you. If you order one of our products or services, we will collect and maintain your name, e-mail address, billing address, shipping address, telephone number, product selections, credit card or other payment information, order number, referring URL, IP address, and a password. We collect this, and other information, as disclosed in this Policy, in order to fill your order, to communicate with you about your order and to send you promotional materials. Before confirming your order, you will have the opportunity to review the product order form and make changes and additions to the information it contained and these changes will be automatically kept for future use. We offer free newsletters, promotional e-mails and personalized on-line advertisements as a service to our customers. 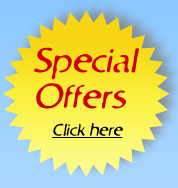 We will send you newsletters and e-mails periodically listing current specials and deals. You may "opt-out," or unsubscribe from our newsletters, emails or personalized on-line advertisements by following any unsubscribe instructions in any e-mail, newsletter or personalized on-line advertisement you receive from us, or by sending an e-mail to opt-out@mpromos.com After doing so, if you have opted out of receiving all newsletters, all promotional emails or all personalized on-line ads, you will not receive future promotional emails, newsletters or personalized on-line advertisements (as applicable), unless you open a new account, or request to be opted back in. If you contact Millennium or our customer service representatives by telephone, e-mail or letter, we may keep a record of your correspondence or comments. If you report a problem with our site, we may collect such information in a file specific to you. If you contact us by calling one of our customer service representatives, we may ask for your name, e-mail address and order information in order to send you a reply. We may display advertisements on our site. By knowing a little about you, Millennium will be able to deliver more relevant advertisements and content to you in the form of targeted banners and promotions. We may a times use a third party to send promotional e-mails to customers. Images contained in the email may be served by the third party. They collect certain information about you such as your IP address, browser type, the time and date that a particular email was viewed, the area code and zip code associated with your server, and whether you responded to a particular ad or email, products viewed and whether you continued on to make a purchase. They may use a "cookie" or "action tags." The information collected by Millennium, is used for processing orders, keeping you informed about your order status, for statistical purposes, for improving our site and its performance, and to notify you of products or special offers that may be of interest to you. We also must release your credit card information to the card-issuing bank to confirm payment; and release your address and telephone information to the delivery service to deliver products that you ordered. Millennium reserves the right to disclose your Personally Identifiable Information in the event that the company is sold, in whole or in part, either as an entire corporate entity or through an asset sale that includes a customer information database. This right is reserved whether or not the customer database is sold independently of any continuing operations of such company. Within Millennium, your information is kept on password protected, limited access servers. Wherever possible and applicable, Millennium servers reside behind a corporate firewall that maintains controls on access to the system from both our internal network and the Internet. Millennium and third-party use of "cookies" and "action tags." Millennium Cookies: When you use our site we will store cookies on your computer in order to facilitate and customize your use of our site. A cookie is a small data text file, which a Web site stores on your computer's hard drive (if your Web browser permits) that can later be retrieved to identify you to Millennium. Our cookies store randomly assigned user identification numbers. The cookies make your use of the site easier, allow you to retrieve an earlier shopping cart, make the site run more smoothly and help us to maintain a secure site.